As we head into another cold, blustery, and possibly snowy weekend, it is important to remember to stock up on books as well as food. What type of books do you favor in the winter? Today’s list includes a little something for everyone. Take a look. 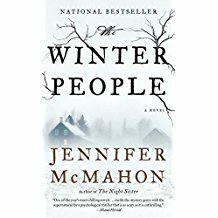 Settle in for a creepy winter tale set in Vermont. With shifting timelines, this novel explores just how far some people will go to resurrect their lost loved ones. And just what that might mean for others in the community. You’ll warm right up as you dive deeper into the blankets to hide (I am firmly in the “chicken” category. This was just enough creepy without being straight up horror). There were a few characters who weren’t needed in the overall story arc, but nothing is perfect. 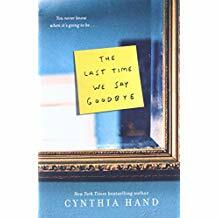 Since flu season is upon us, you most likely have enough Kleenex around the house and are therefore prepared for this novel. At least physically. “The Last Time We Say Goodbye” looks at the aftermath of a teen suicide. 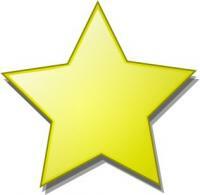 The effects of a young boy’s death on his parents, sister, friends, and classmates are profound and heartwrenching. This is a very nuanced look at a broken family. A stubborn and independent young girl left mute in the face of tragedy and neglect meets an ornery Shetland pony. 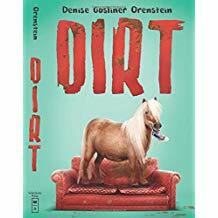 “Dirt” becomes Yonder’s only friend in a world where her life is ransacked by bullies and social workers. Yonder is made of stern stuff; however, and watching her character develop from a somewhat passive participant in life to a take-charge hero out to save her pony is inspirational. 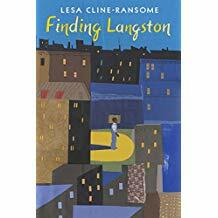 This book has an Accelerated Reader level of 6.0; however, the cover and writing feel more geared to a younger audience. 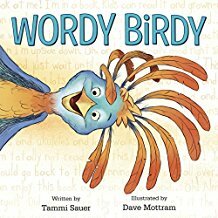 “Wordy Birdy’s friends can’t get a word in edgewise. 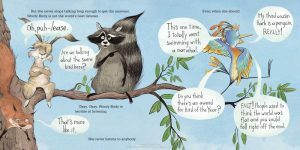 This little book explores the importance of listening. And who could resist such great illustrations? 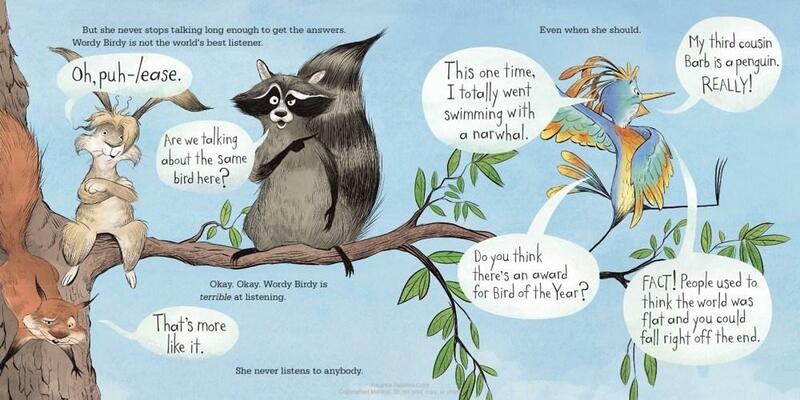 The faces of Wordy Birdy’s friends say as much as Wordy Birdy herself.